From the Archieves on 6th June 2014, I spoke with Michael ‘GIP’ Cutting before his debut BAMMA fight against Ed Arthur. Saturday 7th June 2014 at the O2 Guildhall in Southampton, Michael ‘Gip’ Cutting (5-1) will make his debut for promotion BAMMA for part of their ‘Fight Night’ Series. 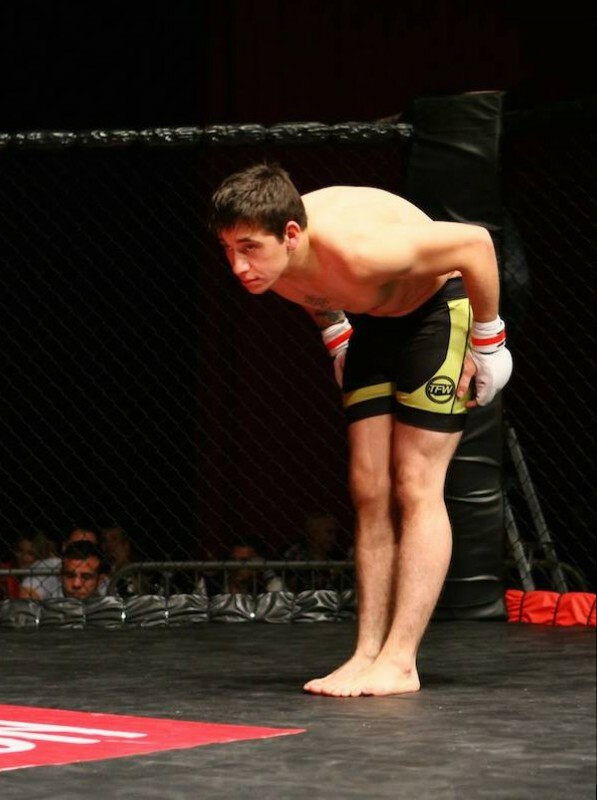 Cutting a 23-year-old father of two who lives in Andover, Hampshire, started Mixed Martial Arts at the age of 17 “I started because I had anger issues and liked watching martial arts films. I wanted some discipline from the sport”. In May 2008, he went down to his local club, KYOUKEN MMA in Andover and started channelling all his aggression into the new found love of Mixed Martial Arts, training in traditional jiu jitsu and MMA. Training for two years, he then had his first amateur fight in 2010 which was against Nick Parcker for which he realised he had a talent for the sport. Speaking of Cutting’s fighting career, like with all things, you learn not to believe everything you read on the internet as it is not always correct, so I ask Mike to break down the record that Sherdog.com holds for him as a fighter, which is 4-2, and the one thing he states is that, it is in correct, he is infact currently 5-1. Mike explains, “The fight with Russell Peacock was a Semi-Pro fight, therefore should not be on my Pro record. 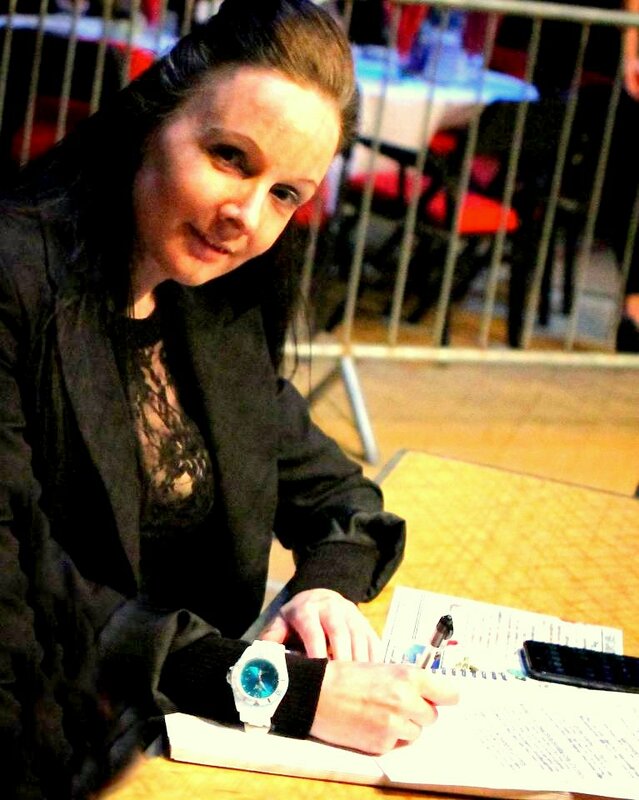 On October 5th 2013 I fought ‘Sugar’ Shane Mansfield in Swindon on a show called CAGED for The International CAGED Championship Title for which I won due to a Verbal Submission of an armbar 3mins 06secs in the 3rd round, the promoter of that event still appears not to of sent the results of to Sherdog.com to get my record updated so unless people actually ask me for my record you will only ever get what is on the internet”. Throughout Cutting’s fighting career, he has fought at various weight categories including 70kg, 66kg, and 61kg but now has his sights firmly on the bantamweight division “This is my home till I reach the top of the rankings”. Being able to train full-time, as a full-time fighter is a privilege in itself, especially when you have a team member like Alexei Roberts to train with. Getting to find out that they will be on the same card together, must also be a comfort knowing that both of the athletes will be in training camp together, being able to push and motivate one another “It’s awesome when you have the ‘BOOM’ in the room and on camp with you”. Winning Gold in The English World Jiu Jitsu Championships in 2013 in the 67kg Division appears to have put Cutting back onto a winning streak. Since his last loss to Aaron Blackwell on May 18th 2013 when Blackwell won the ITC 8 Bantamweight Title after a five round fight, he then won the International CAGED Championship Belt against ‘Sugar’ Shane Mansfield due to a Verbal Submission of an Armbar and his most recent win was against Jason Jenkins who he defeated via Inverted Heel Hook 2mins 28secs Round one, which was very impressive and yet another submission win on his record. Next up for Cutting is Ed Arthur on June 7th 2014 in Southampton at The O2 Guildhall for promotion BAMMA, for which he will will be competing on one of the UK’s biggest promotions “It’s a true privilege to be fighting on a big platform”. It’s pretty fair to say that Ed Arthur definitely is not one to hang around come fight night, he usually comes in fast and the majority of his fights are over within the first round, with the exception being his last fight which went into the third round. I wondered if there was any chance of this fight going the distance? “I’m putting him to sleep in the first round, sleep tight”. For the first time BAMMA will also have Amateur fights on the same fight card to start off the show, this will include another Team KYOUKEN Member Andy Hannon, it appears Team Kyouken will be having their own little family unit up in the O2 Guildhall come fight night, let alone family and friends. Unfortunately Michael Cutting did not get the Win. Ed Arthur Won Via RNC 1 min 58 secs Round Two. I arrived at Newport’s Leisure Centre with anticipation having always had Pain Pit events scheduled in my diary and now I had no reason not to go and the timing was exactly right. 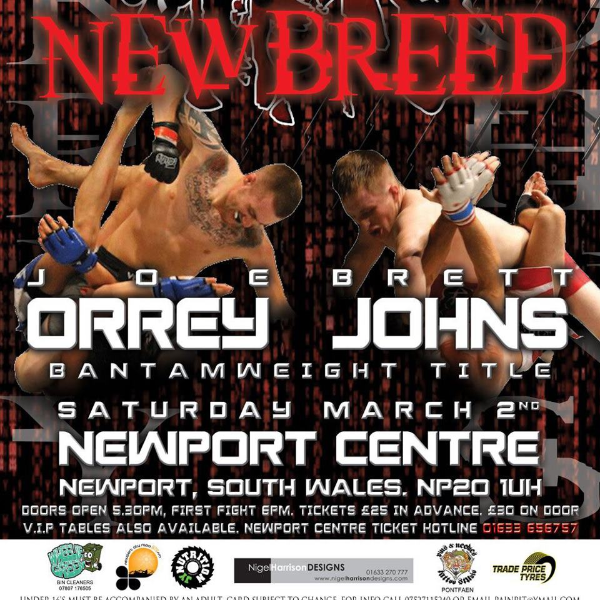 And the atmosphere was electric to what appeared to be a sold out Newport Leisure Centre again I can see why Pain Pit was living up to its reputation and we were only on the 4th fight of the night. This has the crowd on their feet as Ryan Marshall’s entrance music is beginning to be played which is ironically is a sample of a Eminem track – business, (If you haven’t heard it look it up on YouTube then you will know where I’m coming from) you can now tell this is a packed venue with a great atmosphere. Stockdale gets this fight underway with some great knees & Marshall exchanges with some shots of his own, Stockdale gets the early takedown but not for long, both men on their feet but this time its Marshall who got the Takedown & gets top position with some vicious GnP, Stockdale doing well to defend Marshall off in the 1st rnd. We go into the 2nd rnd Marshall gets the takedown & takes top position Stockdale defends really well & gains Top position raining blows down on Marshall, not lasting for long as Marshall gains top position; this is a battle of who really wants it the most; it ends up against the fence with both men standing, Marshall gets a great Big Body slam & top position but again not for long as Stockdale then gains top position, as we enter the final rnd Stockdale opens up with great leg kicks & gets a takedown but blink again & Marshall is in Top Position this is a real contender for #FOTN in my books both men are going toe-toe & ground to ground with one another, Marshall lets Stockdale get back to his feet (we know Ryan Marshall has a great pedigree in Boxing skills & this is where he likes its best) not taking nothing at all away from Stockdale, as Stockdale is back to his feet Marshall’s corner is shouting at him to get another takedown – & that’s what happened. Winner UD Ryan Marshall #FOTN for me. Fight Eleven Middleweight Division between Will Davies (Chris Davies) and Lenny Benskin (Brotherhood MMA) Now this one I was particularly looking forward too, I had heard on the grapevine there had been a bit of bad blood between these two guys so I was hoping for them to leave it all in the cage tonight & boy I wasn’t disappointed. Both Men come out ready to trade toe-to-toe, Parry comes out with a Spinning Back fist that misses, the fast Cotton catches Parry with a right cross which floors him, Cotton isn’t stopping there though and he goes to carry on until the Referee Mark Woodard steps in Winner Max Cotton 0.23 secs rnd 1 TKO #KO of the night for me.